Oooohhh... I love eggs benedict. This version is loaded with omega-3's and gluten-free! 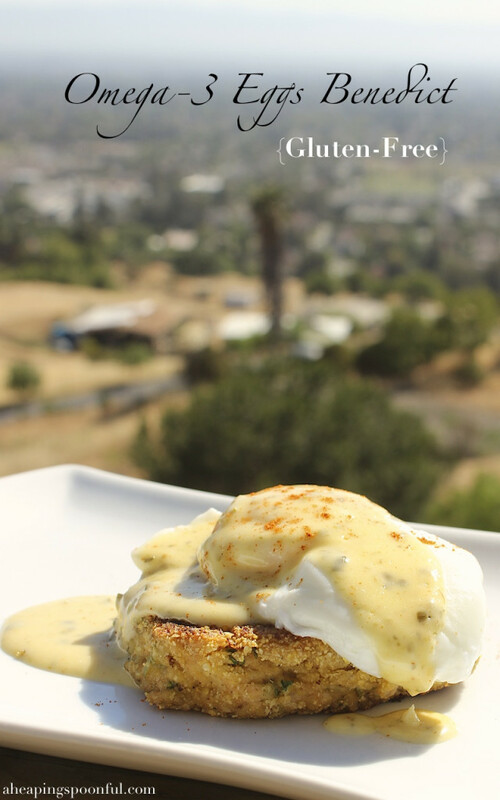 Plus there's a foolproof recipe for perfect hollandaise that you can make in a blender. I went a little Southwestern with the flavors. The jalapeño is optional, but it really isn't that spicy since I didn't use the seeds and I cooked it. Chiles are spicier when they are raw. Chop up the peppers and onions pretty finely and add them to a pan to sauté until they have softened. Then set them aside to cool. For additional flavor, I used the following ingredient-ses. Remember when Teresa from Real Housewives of New Jersey said ingredient-ses? Here's a video of the moment in all it's glory (and also the way she pronounces "cumin"; cringe). Skip to the 1:00 mark for a quick giggle. 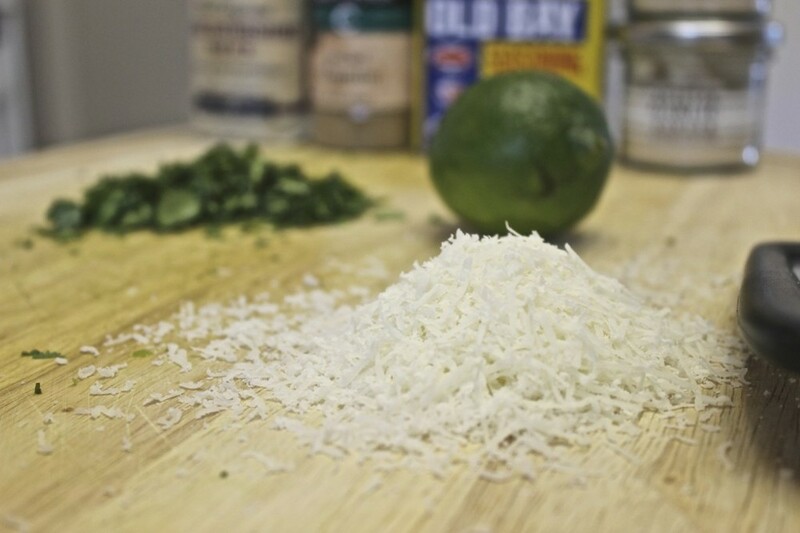 You also need some grated cheese, I used pecorino. As well as some chopped herbs, I used cilantro. And a lime too. Whisk the egg and add all the ingredient-ses above, as well as the salmon, mayo and the peppers and onions you sautéed. Whisk everything until it's combined, then add as much cornmeal as you need until the mixture holds its shape when formed into a ball. Chill the mixture for an hour. Once chilled, form into patties, coat with cornmeal and sauté. Once the salmon cakes are cooked through, set them aside. Now, let's make the hollandaise. Start by separating an egg, you just need the yolk. To the yolk, add a teaspoon of lemon juice. 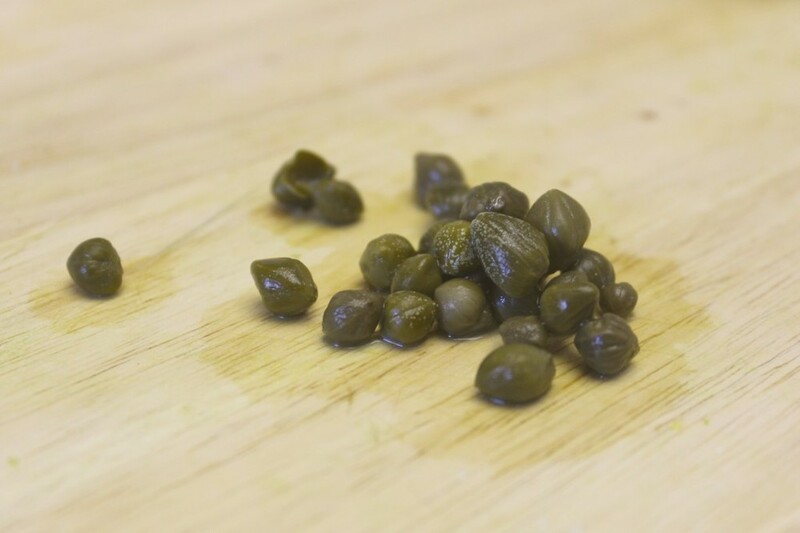 Chop up a teaspoon of capers and add them to the yolk as well. Add a pinch of cayenne too, if you like. Now toss everything into a blender and get it running. While it's running, stream in half a stick of melted butter until the hollandaise is emulsified. Set the hollandaise aside, we're almost done! All we need to do is poach the egg, it's really not that hard. The egg is done once the whites are cooked. Now assemble everything into a beautiful little package of succulence. After taking the last picture, I ate the whole thing standing up on the patio. Make this the next time you want to impress someone. Begin by sautéing the peppers and onions with a little S&P, until they have softened. Set aside to cool. Crack one egg into a bowl and whisk. Then add all of the ingredients for the salmon cakes, except for the cornmeal. Whisk until everything is combined. Add 1/4 cup of cornmeal and stir until combined. If the mixture feels too wet add some more cornmeal until the mixture holds its shape when formed into a ball. Chill the salmon cake mixture in the fridge for about an hour. Once they have chilled, form them into patties and coat them with cornmeal. Sauté on medium heat for about 5 minutes on each side, or until they have browned and cooked through. 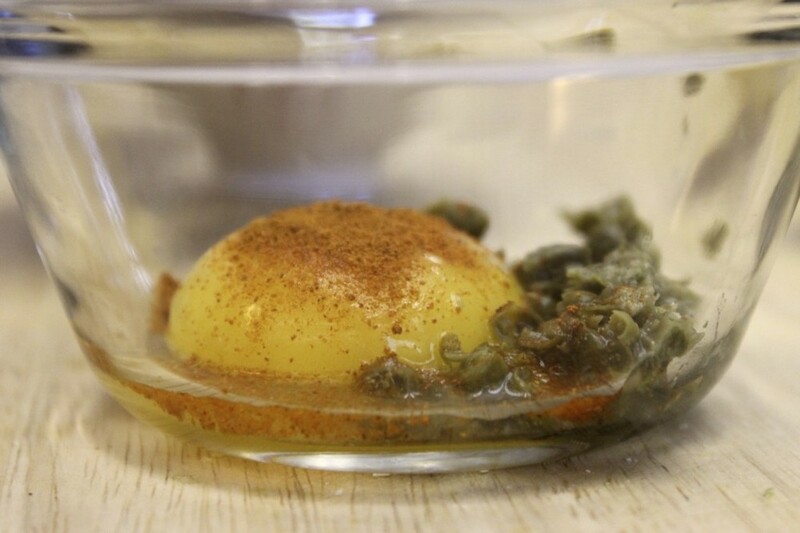 Add the egg yolk, lemon juice and capers into a blender and combine. 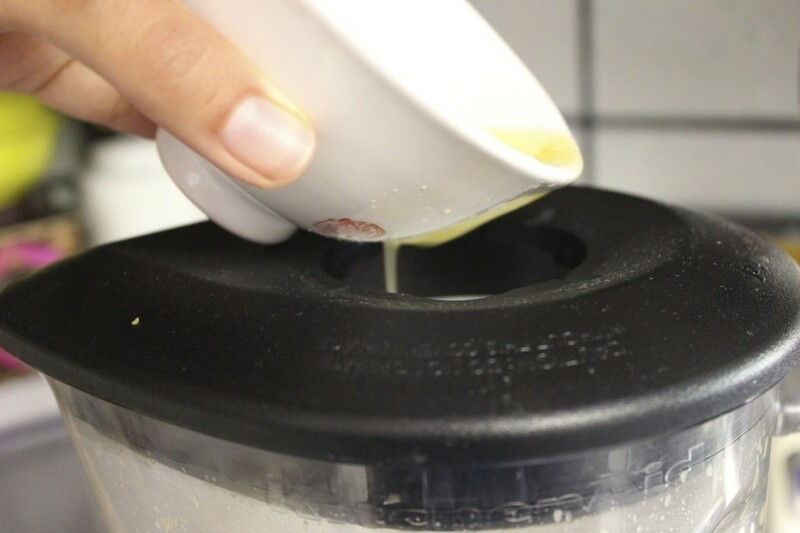 While the blender is running on low/medium speed, SLOWLY drizzle in the melted butter. Pour the hollandaise into a small bowl and set aside. Crack an egg into a small bowl or ramekin, making sure not to pop the yolk. Once the water is simmering, use a large spoon to stir the water in one direction until the water is swirling on its own, like a whirlpool. You can also sprinkle in a few drops of vinegar to help the egg whites coagulate. While the whirlpool is still spinning, gently drop the egg from the small bowl into the center of the whirlpool. Let it cook gently for a few minutes until the whites are cooked. As soon as the whites are cooked, gently remove the egg with a slotted spoon and place on a paper towel to drain. Place a salmon cake on a plate. Gently place the poached egg on top. Spoon some of the hollandaise on top and pop that yolk, baby.